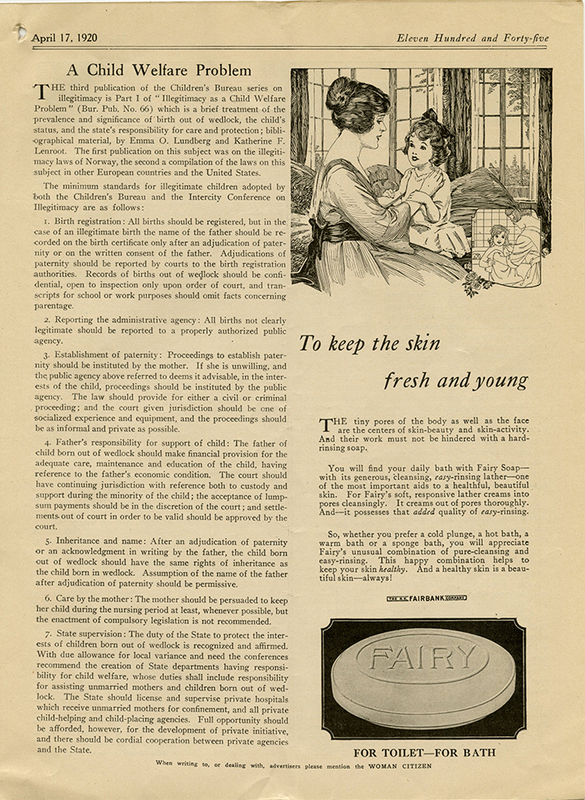 Article concerning the third publication in the Children's Bureau series on illegitimacy, "Illegitimacy as a Child Welfare Problem" (Bur. Pub. No. 66). 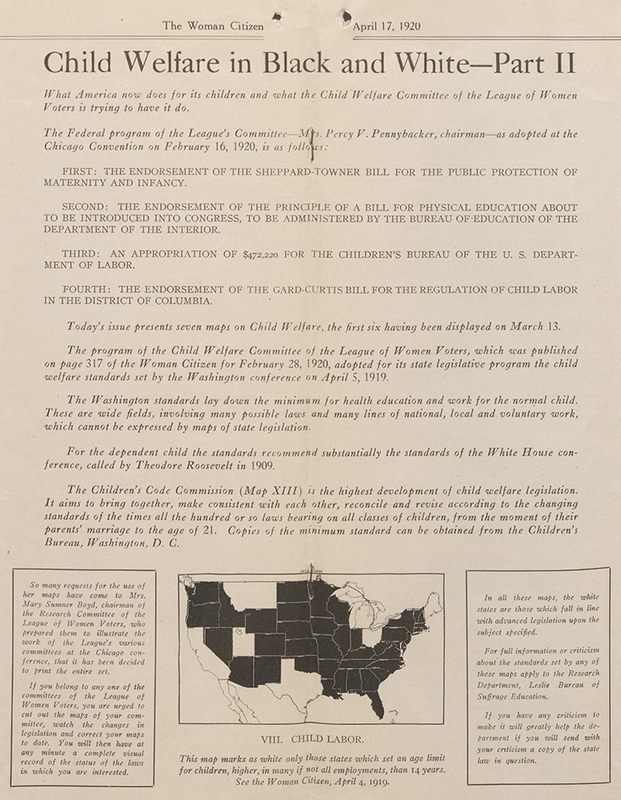 Lists seven minimum standards for illegitimate children's welfare as adopted by the Children's Bureau and the Intercity Conference on Illegitimacy. 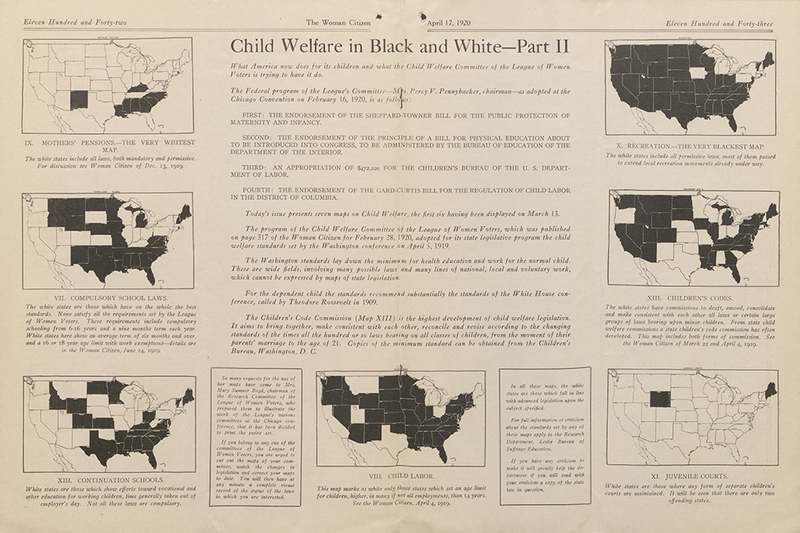 Two-page spread (p.1142-1143) "Child Welfare in Black and White -- Part II" uses maps to show states' responses to child welfare issues, including compulsory schooling, child labor, the establishment of juvenile courts. 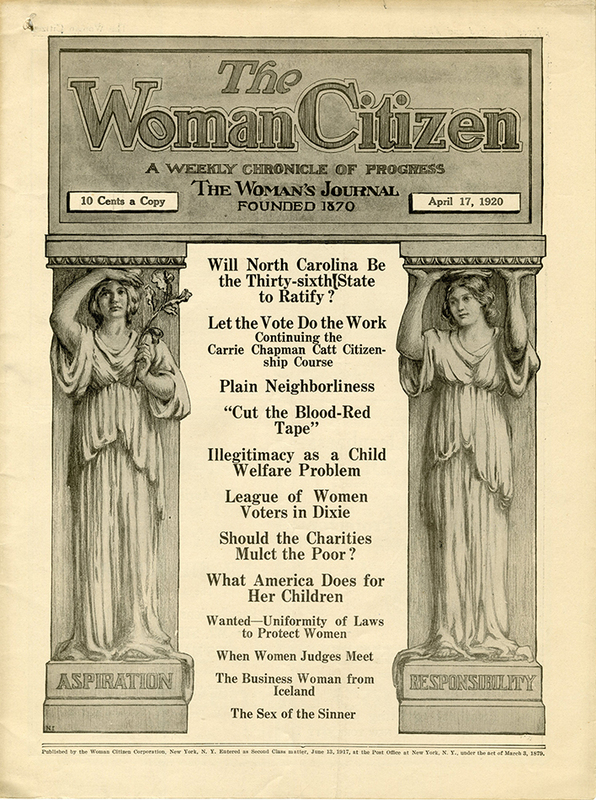 “Woman Citizen, April 17, 1920,” Social Welfare History Image Portal, accessed April 26, 2019, https://images.socialwelfare.library.vcu.edu/items/show/168.